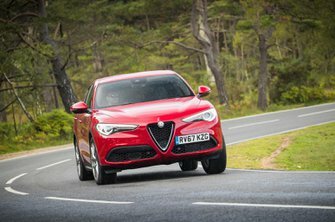 Alfa Romeo Stelvio Interior, Sat Nav, Dashboard | What Car? So far, we’ve only tried Stelvios fitted with electrically adjustable seats. These proved easy to adjust to suit both tall and short drivers and had adjustable lumbar support, too. Likewise, the steering wheel has plenty of adjustment for both reach and rake. The gearlever falls easily to hand and there’s the option of aluminium shift paddles behind the steering wheel that both look and feel great. It’s just a shame that the steering wheel does feel a little cheap compared with some rivals. While the view over the heavily sculpted bonnet is an attractive one, we did find the windscreen pillars to be quite thick. This can cause issues when pulling out of junctions. Likewise, there are thick rear pillars and a small rear window that can make reversing tricky. Parking sensors are standard, but you might want to consider the optional reversing camera. 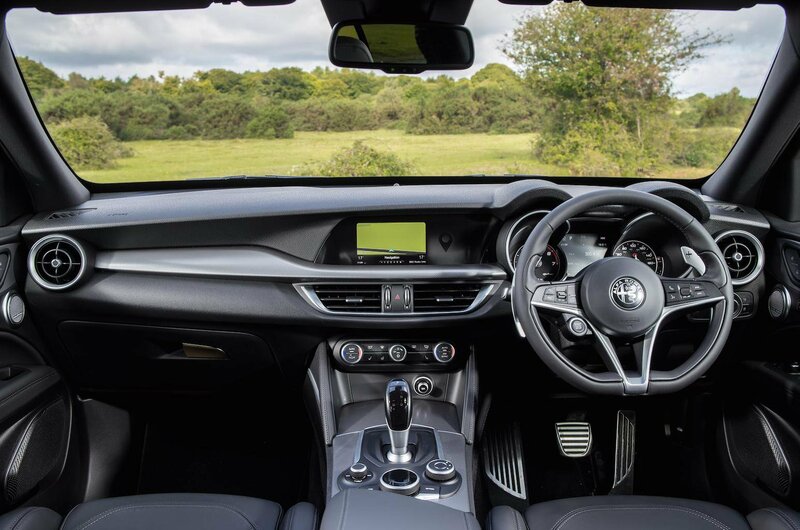 All Stelvios get a colour infotainment screen controlled by a rotary dial mounted between the front seats. We haven’t tried the basic 6.5in system, but the optional 8.8in unit is relatively easy to navigate and has sat-nav that is easy enough to follow. We did find that the screen is very wide and not very tall, which makes some text a little trickier to read. It also looks a little dated compared with Audi’s MMI and BMW’s iDrive systems. 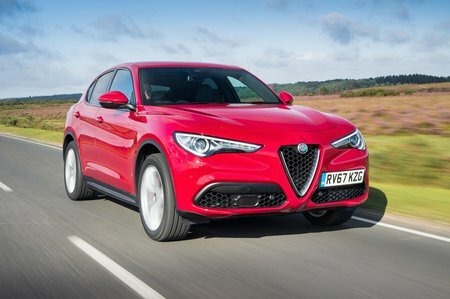 Alfa makes a big deal about its use of real metal, wood and leather in the Stelvio’s interior. Although these trims are attractive, there are too many hard, scratchy surfaces to give a truly premium feel. Yes, there’s plenty of soft-touch plastic around, but cheaper materials can be found all too readily in areas that you touch and see regularly. Likewise, many of the buttons and dials don’t feel quite as solid as you’d find in an Audi Q5 or Porsche Macan.